The project personnel of NOMAD Science is composed of a core of experts and professionals from a variety of disciplines. Additionally, we host guest staff members that bring unique perspectives to our expert team. Julia is an anthropological archaeologist specializing in the investigation of human-environment and human-animal relationships, risk management strategies in marginal environments, and socio-political organization. Dr. Clark utilizes a range of methods in her research, including GIS analysis, predictive modeling, survey, excavation, ethnoarchaeology, experimental archaeology, and zooarchaeology. 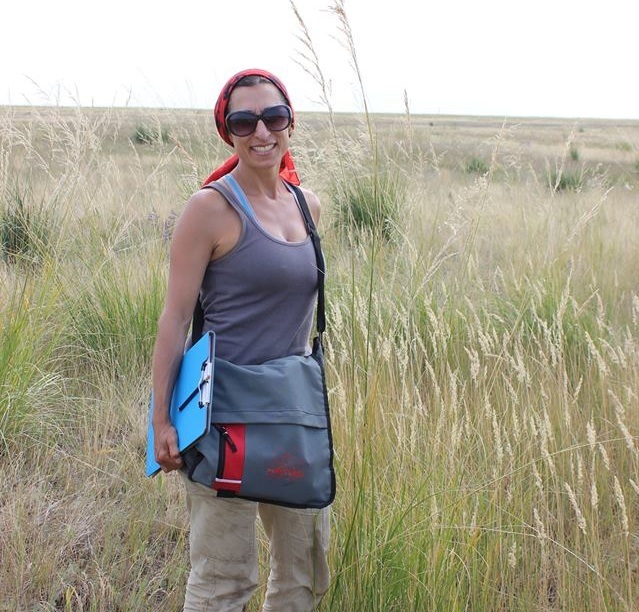 Her main area of field research is Mongolia and the Eurasian Steppe where she has been working since 2007. Dr. Clark also holds positions with the American Center for Mongolian Studies in Ulaanbaatar, Mongolia and Flinders University in Adelaide, Australia. Bayarsaikhan is the Director of Research at the National Museum of Mongolia. He specializes in understanding deer stones and monumental archaeology in Mongolia. He has partnered with Dr. Clark’s work in northern Mongolia since 2009, and continues his commitment to the NOMAD Science project today. Bayna is an archaeologist and researcher at the National Museum of Mongolia. Nicholas' interests include GIS, remote sensing, data management, and 3D modeling; producing detailed site maps using aerial and handheld photogrammetry, orienting site maps into the larger landscape model using drone photography. Mr. Case had attended the Northern Mongolia Archaeology Project field school in 2016 where he gained experience using photogrammetry techniques, the results of which he presented at the Society of American Archaeologists annual meeting in March of 2017. Stefani began working in Mongolia in 2012, and is currently a post-doctoral researcher at the Pennsylvania State University. Dr. Crabtree specializes in computational modeling and quantitative analysis of archaeological materials. A collaborator on many projects, Dr. Crabtree was drawn to working in Mongolia for the opportunities that working in a relatively understudied region would provide. When not working in Mongolia she primarily works in the American Southwest, studying the Ancestral Pueblo people, but she has also worked in southern France, and is beginning work in the Tibetan Plateau. Trenton is a Critical Care Paramedic and a senior staff member with Aerie Backcountry Medicine based in Missoula, Montana. He brings over 10 years of experience providing professional level training in wilderness emergency medical response to students preparing for travel and work in remote regions. He is a passionate educator with a strong interest in the traditional survival skills of land-based peoples. Robin is an adjunct lecturer at Flinders University in the College of Humanities, Arts and Social Sciences (Archaeology). Graduating in 1972 he has extensive experience in all aspects of surveying:engineering, cadastral (land development), mining, aerial and hydrographic. He taught surveying at TAFE SA for 38 years.At Flinders University, he provides survey control for graduate student research projects and student field camps some of which include excavations. These projects include sites in Tasmania, Queensland (in collaboration with University of Queensland), South Australia and the Australian Capital Territory. A major survey of Beacon Island (Batavia wreck) was conducted for The Maritime Museum of Western Australia. Surveys of indigenous include sites in South Australia, Northern Queensland and the Northern Territory. He has also worked on close offshore wreck sites and historic maritime infrastructure with Victoria Heritage. Bryce is currently a doctoral candidate at the University of Chicago. He has worked at various locations on four continents, but the prehistory of Mongolia has occupied his focus for the last decade. His research interests include, space and place, political economy, lithic and ceramic analysis, as well as human osteology. Bryce also serves as the head photographer at the Oriental Institute Museum. Ian is an ARC DECRA Research Fellow in Archaeological Science at Flinders University (more here) and has been working with NOMAD Science since 2017. He is interested in all applications of earth science techniques to archaeology including, in particular, archaeological geophysics, isotope and trace element geochemistry, geomatics and geoarchaeology. He has contributed to a wide range of academic and consultancy projects within Australia and internationally including locating and mapping features such as historic and Indigenous graves, hearths, buried pottery, middens, shipwrecks, lost anchors and historic material culture, tracing migrations with isotope geochemistry and reconstructing palaeoenivronments using sedimentological techniques. In addition to his work in Mongolia, Dr. Moffat has active research projects in Australia, Indonesia, Greece, South Africa, Cambodia, France, Israel and Kiribati covering archaeologial material of Mid-Palaeolithic to WWII age. Dr. William Taylor is a recent graduate of the University of New Mexico, and a postdoctoral research fellow at the Max Planck Institute for the Science of Human History in Jena, Germany. His research investigates the role of horses in human societies, with an emphasis on understanding the environmental context of animal domestication. "Jerry" Tuvshinjargal is a zooarchaeologist and researcher at the National Museum of Mongolia. Sandra is a textile conservator, and holds a M.A. in textile conservation (the terminal degree in the field.) Over the past decade, she has researched and conserved historic and artistic textile artifacts at the Smithsonian Cooper-Hewitt and other institutions in the New York City area. This work includes analysis of materials and techniques employed in the creation of fragile ancient and medieval textiles from archaeological contexts in Eurasia and the Americas. These findings enable educated guesses about how the textiles will deteriorate, and inform strategies to slow that process so people can benefit from them. A primary benefit of her conservation work is that it makes it possible for others to access the textiles for advanced, trans-disciplinary research and analyses. These combined efforts illuminate stories the textiles tell about humankind’s remarkable relationships with nature and with each other over places and time. Alicia's research utilizes bioanthropological, archaeological, and biochemical methods to investigate the evolution of human diets across Eurasia, human adaptations to semi-arid environments, and the impact of urbanization on health and disease. Her work explores the mechanisms behind human interactions which hinge on connecting genomic and biomolecular data, bridging this gap by tracking migrations, the spread of domesticates, and the dispersal of horse riding and dairying. Although focused on central and inner Asia, her research has global implications as it integrates science and anthropology to highlight the intersection of human mobility and disease transfer. Her work intercedes in narratives that consider steppe pastoralists inherently nomadic and lacking urbanization. Through isotopic, osteological, and proteomic datasets Alicia’s work provides direct evidence of human mobility, paleodiets, and health.